Looking for an OB/GYN in Greensboro, NC? Plug your zip code into our FastMed Office Finder to find OB/GYN services near you. There are several advantages to visiting an urgent care center for gynecological exams and sexual health care. If you need to see a medical professional right away, for example, you won’t have to wait days or even weeks for an appointment. At FastMed Urgent Care, our goal is to get you in and out within one hour, which may be just what you’re looking for in obstetrics and gynecology, or OB/GYN. Greensboro, NC, residents may benefit from the convenience, reliability, and confidentiality from visiting a FastMed clinic. At all FastMed clinics, you can talk with a medical professional about your health care and reproductive health options and get a medical pregnancy test. General health checks, such as taking your blood pressure and listening to your heartbeat, are often part of the exam. The medical professional will talk with you about how you feel to ensure you’re in overall good health. If the medical professional suspects you may be pregnant, he or she will likely administer a urine pregnancy test. A gynecological exam will include a beast and pelvic exam and possibly a Pap test. The visit may also include testing for sexually transmitted infections if you’re at risk of contracting them or exhibit any symptoms. These tests may require a blood sample. 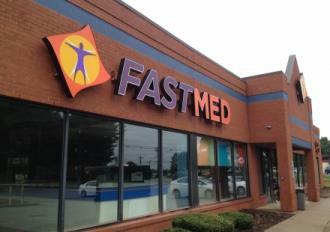 If what you need is an OB/GYN, Greensboro, NC, women can count on FastMed Urgent Care. We accept most forms of insurance. If you don’t have adequate insurance coverage, we also provide a Discount Program for select services, including a pregnancy test and prescription medications. For more information about FastMed, take a look at our FAQs page.